User experience plays an important role in mobile app development. When any individual opens a specific website like Facebook, Twitter or Linkedin on two different browsers you can figure out the significance changes. This fact is applicable for mobile apps, as well. However, this can have a negative impact on user experience. Hybrid mobile app development can overcome this drawback as all users will get the opportunity to experience a consistent UI and If the app needs to be updated, a single update will fix the app on all platforms. 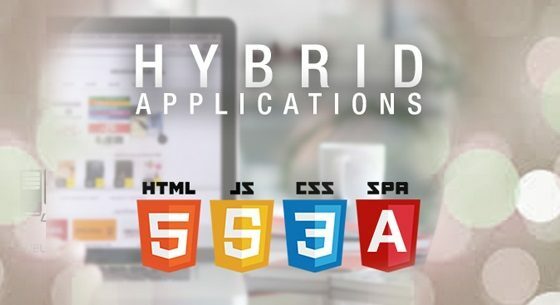 Hybrid mobile app development uses programming language of the device in order to synchronize with other customized mobile apps via a wrapper or overlay. Hybrid mobile apps would work absolutely well with GPS, cameras, messaging and other device information. This provides the best user experience and contribute towards upgrades customer satisfaction. Because of their native infrastructure, hybrid apps also use the API of the device to store useful information offline. While in offline, data cannot be updated, but the users are still able to load the app and access previously loaded data. The hybrid apps offline usage capabilities allow the individuals to use mobile app without frustration. Many people use mobile app in order to accomplish any task. If the mobile app takes a lot of time to provide responses, the user will lose the interest in the particular app. Hybrid app development overcomes this drawback and provides hassle free experience to the user. It deliver a seamless experience to the users and also uplifts the business status. The percentage of app downloaded by smartphone users is increasing tremendously. Some mobile user face difficulties in downloading and installing a new mobile app. This doesn’t mean that all the individual who download apps will use them. Hybrid mobile app development keep the app users away from dissatisfaction associated with download or install of the new app, which in turn promotes user experience.